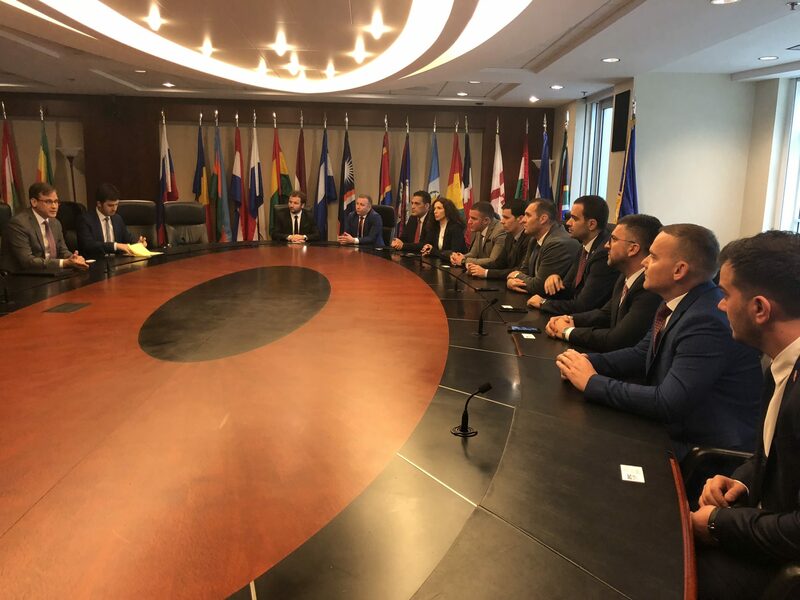 Prishtinë, October 25, 2018 – With the purpose of increasing the trade and economic relations between Kosovo and USA, the American Chamber of Commerce in Kosovo, led a delegation of Kosovar businesses in Washington DC and Virginia. The delegation met with representatives of important institutions in the U.S., including the Senate, the U.S. Chamber of Commerce, Department of Commerce, International Trade Administration, Select USA, and Overseas Private Investment Corporation (#OPIC). In these meetings, the delegation of Kosovar businesses presented the positive outcomes in the aspect of doing business and expressed their interest in finding U.S. partners in developing common investment projects in Kosovo, which would be financially supported by organizations such as OPIC who are interested in financing potential projects. The delegation also had meetings with the Ambassador of Kosovo in the United States of America, Vlora Çitaku, where they discussed on empowering the economic diplomacy on better promoting products from Kosovo in countries the Kosovar diplomatic representatives operate, and also stimulating greater cooperation in economy with businesses in the hosting countries. The delegation also met with the Ambassador of Albania in Washington, Floreta Luli-Fabër. Kosovar businesses from manufacturing, trade, consultant services, information technology, and healthcare services sectors also visited Richmond, Virginia, where they were welcomed by the U.S. company Williams Mullen, and afterwards had meetings with representatives of the Greater Richmond Partnership business association as well as Lead Virginia. During the visit at the James Madison University, businesses from Kosovo had the opportunity to learn more about the entrepreneurship programs in this university.